When it comes to making your business successful; turning a profit and expanding your customer base is often at the top of your priority list - and rightly so. Regardless of the industry, your branding and sales pitches are incredibly important to building and maintaining business connections along with mutually beneficial working relationships. With so much at stake, it is important that you can rely on your exhibition equipment and focus on the things that really matter. Whether you are selling holidays, hair and beauty services, photography packages or even tiaras and veils at a wedding fayre, you need a custom product display to suit your brand requirements. Whether you are selling lead-generation literature, cleaning products or an innovative new technological system at a business exhibition, you need the right custom product display for your needs. Whether you are selling sentimental gifts, wacky, novelty products or cool gadgets and gizmos at an e-commerce trade fair, you will require the right custom product display to suit your business needs. 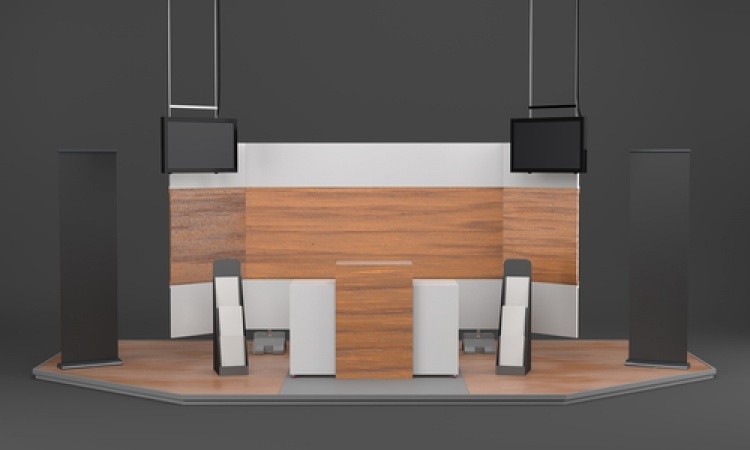 Here at GH Display, our highly creative and experienced design team are on hand to create the exhibition equipment you need to your exact specification. We really put the heart of your business at the centre of our designs to guarantee that your business is presented in the best way possible. From design inception through to product completion and even helping you set up at your next event, we are on hand to deliver a custom product display that works for you and your every business need. We appreciate that bulky, cumbersome displays are difficult to put together and transport for a fledgling company; we understand that traffic heavy, established brands require an altogether more comprehensive display set-up. We can cater to this and more with ease. We have the knowledge, research and expertise in your team to understand just how to design and organise your exhibition or event display set-up; to make the most of the attention from passing footfall, capitalise on the space you have and maximise your return on investment. For more information on our range of available exhibition equipment, please browse our website or contact our team for a chat on 01733 570222.